The High Precision Radar Transceiver Module is part of SkyRadar’s Radar Training System. It is a shielded unit for low-noise data reception and processing optionally replacing the standard processor and horn antenna unit provided in the SkyRadar Base Unit. Short internal wiring and a shielded box assure high precision signal emission, reception and conversion. 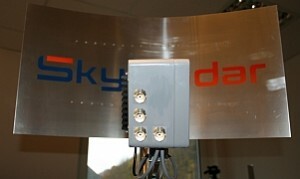 The process is reconfigurable in a comfortable way through the SkyRadar Navigator. The unit can be easily mounted. 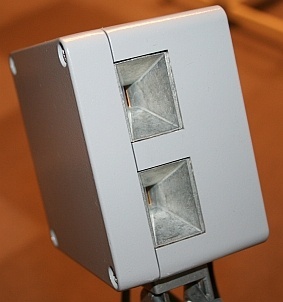 It includes an integrated set of horn antennae. In contrast to the standard unit, the two horn antennae are vertically arranged. An interface provides analog and digital outputs of the Q- and I raw signals for measurement through an oscilloscope.